Nowadays loneliness has become many people’s daily cup of coffee – they sip the bitterness out of it every day. They suffer from what the pure black liquid does to them – it sits people up in the middle of the day, feeling unsettled. Some feel lonely from living many years alone, becoming isolated that they feel like staying miles away from the rest of the world. Some live right in the heart of a hot tribe, but still feel a foreigner there, detached from others. As loneliness is often described as a negative emotion, people feel as blue as they are supposed to be, while experiencing it. They feel empty inside, they walk hollow all the way, and they live with a shadowed face and spirit. Loneliness has become a common flu of the modern society. So how does one fix it to reinvigorate their health and happiness? Prescription 1: Don’t blame it. Even if it’s a real flu, focusing on the the problem does little to rectify the situation. Blaming how I made myself this lonely and miserable hardly helps either. It only emphasizes the point that you are left alone, makes you feel even desperate. You should realize that whatever result you have right now, is all accumulated little by little from your previous choices. You made the choice, and You are the one responsible for your current life. Accept it, and start changing it. Every positive thing starts with an acceptance. Prescription 2: Don’t compare. Most of the pain comes from comparing, from our own tricky mind, rather than the lonely situation itself. When reading books, thinking about how spending time with a loved one eating or watching movies could be 10 times more fun, would ruin the lovely moment of reading alone. When walking in an exotic place, imagining only if I could come with a romantic companion, would take away the very romantic moment you are sharing with yourself. There will be always better things to do, more interesting stuff to play with, if you make yourself think so. By comparing all the time, you make yourself stuck in the vicious circle of never getting happy enough. Stop comparing, try to enjoy the delicious pie in your hand right now, rather than worrying about what if there’s bigger pie or more delicious one out there. Read the books in your hand peacefully, it’s wonderful. Walk the scene surrounds you leisurely, it’s incredible. Whatever you are doing right now is one beautiful thing in the world. See that, and live fully in the present. Prescription 3: Enjoy it. 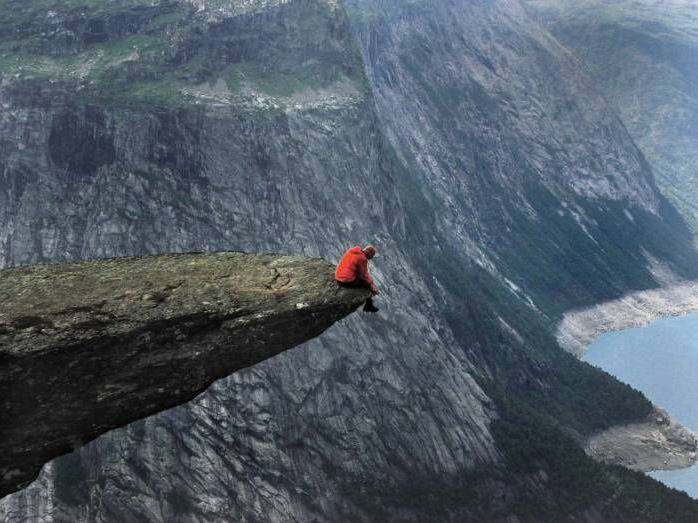 Nietzsche once said, “Whoever cannot spend two-thirds of the day alone, doing what he pleases, is a slave.”Proper amount of loneliness is good for people living a self-conscious life. When you are alone you will have the room to think independently, without others’ perspectives interrupting, even without you noticing. When you get comfortable with being yourself, you will learn to listen to the voice inside, and follow the personal legend that your heart resonates with. Enjoy the golden opportunity to be alone, to behave your true self, and search the very answers you always chased outside but actually exists inside. Prescription 4: Tweak while living. Accept your current situation and adjust your life towards a more balanced one, by changing gradually. If the pie you are holding can really be improved upon, experiment persistently till you can come up with a better tasting pie. Get more socialized, join the groups you feel a belonging to and interact with people authentically. Open up your mind and deliberately meet more people. By the law of chance, the more people you meet the higher chance you have to dig your soul mates out. You can add more activities and social buzzes to your current life, little by little, till you find out the best channel to express yourself and interact with the incredible others. It’s part of life. When traveling, we will meet some paths that are scenic, some paths that are just blank. They are all parts of the journey. Don’t consider only beautiful passages deserve to be enjoyed, and the plain un-exotic route shall be dead walked. Walk both paths mindfully. When there’s a bright day, there comes a grey evening. Both are golden moments of our day. Live lively during the day, and enjoy the peacefulness out of the night. Every moment of life is living. Don’t live alive in some moments and stay dead in the other. Accept whatever scenario life has to offer, and act the drama out of it. Although coffee is bitter, it is one of the most favorited drinks in the world. Rather than resisting the bitter beverage, try to blend it with right amount of sugar and cream. Mix it to the perfect flavor that meets your taste and boosts your life. You will learn to enjoy the coffee. Sandy Xuan is the founder of Journal of Xuan.